A couple of changes have occurred in the past few weeks at North Hobart. – Members will have the opportunity to vote on the name after the season. 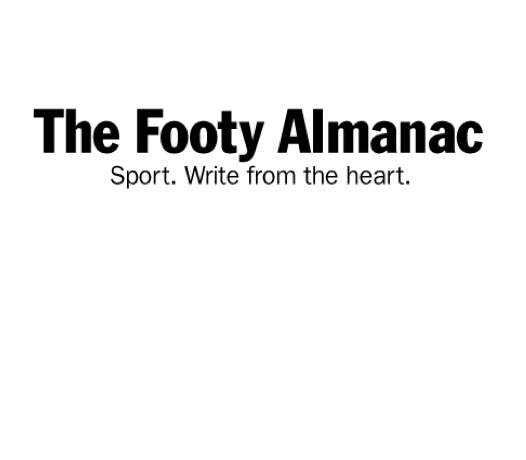 – The club board will change to being six member-elected, three committee-appointed structure; as opposed to all nine being appointed by an independent committee. Many North Hobart Football Club people left when it turned into Hobart City Football Club. “Bring North Hobart Home” are hopeful of locating as many as possible. Once signed as members, they will then be eligible to vote on the name. North Hobart Football Club has a rich history in the Southern Football League. Craig Martin has written this powerful call to arms in The Mercury to highlight the perils of the club. It is a timely reminder to get behind your local footy club and help keep their tradition alive. From afar, the re-entry of the North Hobart name seems like an exceptionally obvious and harmonious thing to do. There would probably even be some kudos to be earned by admitting an earlier error of judgement. The whole episode is bizarre. It’s heartening that many have never given up. Just on North Hobart having walked past the oval bearing its name a few times in recent years I can’t believe so many people in the glory years could squeeze in. Maybe restoration of the name is just a first step in a revival of Tassie footy. After all the push for an A-League team has earmarked North Hobart as a possible home ground and losing the ground will probably kill off any chance of the club surviving in any form. Wonderful piece Craig. Look forward to seeing the North Hobart name reinstated.